At the time of Adam Hunter's death in 1933, he was acknowledged by his peers as one of the great structural steelwork engineers. 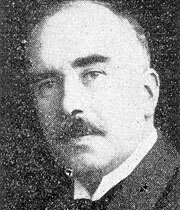 Harry Cunningham (1877-1952), a Director of Sir William Arrol & Co from 1913, and its Chairman from 1935, wrote in 1950 that from 1909 onwards, "the most important member of staff was Mr. Adam Hunter, Chief Engineer". Though not as well known to modern engineers as William Arrol himself, Hunter's legacy endures in the many structures he designed and built that survive in use today. Of more than 200 works in which he played a key role in his 47 year career with the company, Hunter was responsible for 91 bridges, 52 industrial premises and 20 large-scale cranes. His other projects included power stations, lock and dock gates, and viaducts and caissons. His notable achievements include work on three Thames bridges in London — the 1907-8 reconstruction of Blackfriars Bridge, the new Southwark Bridge (1920-1) and the provision of a temporary structure for Waterloo Bridge (1924-43). Hunter followed William Arrol's lead in developing prefabrication techniques, enabling the construction of complicated structures to be simplified considerably. This proved a particular advantage for overseas projects — custom-made sections were exported, and assembled and erected on site. He explained his methodology in his most influential publication, Bridge and Structural Engineers' Handbook (1920, reprinted 1928), which was a standard text for more than 60 years. There is no record of his character from the viewpoint of his family and we must rely on hints at his pleasant nature from some of his obituaries. The Structural Engineer asserted that "his loss will be deeply felt by his colleagues and many friends". His mentoring skills were highlighted in The Engineer, which stated that "younger engineers owed much to his kindly advice and help, which was often sought and was never refused". Dr Jim Shipway, consulting engineer and historian who worked at Arrol 1948-53, recalled in a memoir of 2004, "In the past Arrol had had a brilliant chief engineer and director, Adam Hunter MICE ... Apart from Sir William Arrol himself, Adam Hunter was probably the most able member of all the firm's staff". Hunter's obituary in the Glasgow Herald states that "He was regarded as an authority on bridge building, and was repeatedly consulted by engineers in all parts of the country". In The Structural Engineer he is described as "one of the best known civil engineers of his time, and he was widely recognised as an outstanding authority on bridge building". Perhaps the last words should be taken from the Transactions of the American Society of Civil Engineers (1934), where it says simply that he had "a generous and genial disposition" and "was very highly esteemed by all who came in touch with him, not only for his great professional ability, but for his sterling worth and amiable personality". Hunter is to be commemorated on a plaque to be unveiled at the Titan crane on Clydebank in August 2013. Fittingly, this is a joint venture between the Institution of Civil Engineers and the American Society of Civil Engineers.